This Costa Rica resort is an "all inclusive" concept focused on entertainment, which includes 294 rooms, three pools, a stage, and six restaurants, including the Guy Fieri's Burger Joint. "It is a themed hotel with decorations related to Hollywood and the big screen, such as hotel lighting, sound and multimedia interactions to increase the concept of the “Vacation Like a Star” experience, said Jonathan Iriarte, General Manager of Planet Hollywood Costa Rica in July when he was consulted about the concept. This hotel in Costa Rica is situated amidst a lush and vibrant hillside and the whole property allows guests to experience what it’s like to Vacation Like a Star. The resort features 294 luxury suites, each one completed with Phabulous Beds™, which are hand-crafted custom mattresses with bedding developed exclusively for Planet Hollywood guests. 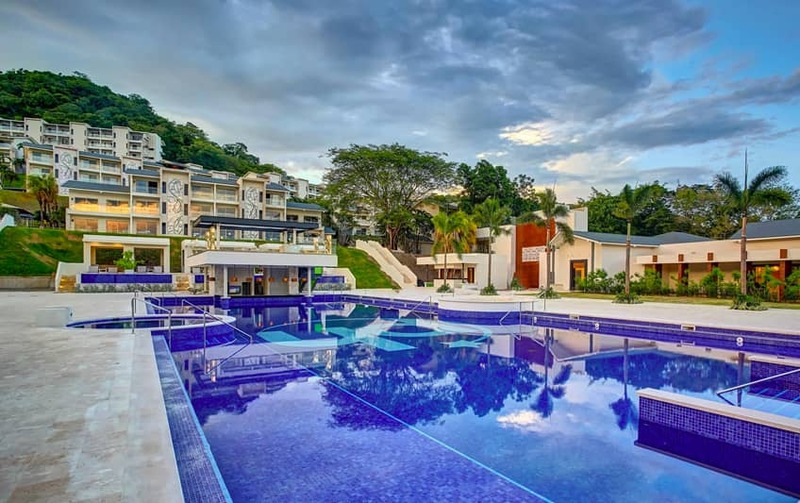 The property also offers to its guests seven globally-infused restaurants and six bars, state of the art PUMPED Fitness Center, PH Spa, two serene and great swimming pools and a splash zone for more fun. Planet Hollywood Costa Rica Resort boasts an all-star line-up of adventures and activities for travelers of all ages. They have a great list of tours available to be taken while vacationing in Costa Rica: the PH Experiences, that allows guests to discover the wonders of the famed Papagayo Gulf, from visiting incredibly life-like dinosaurs in an open-air jungle environment, to sailing and snorkeling in the clear blue waters of the Pacific Ocean. For those visitors which are having some Costa Rica family vacations the Stars Kids Club brings imagination to life with fun and several educational experiences for both, parents and kids, such as Planet Hollywood TV, Walk of Fame Scavenger Hunt, Starlets Hall of Fame Party, and many more. This Costa Rica resort attracts its guests with an array of signature brand offerings, keeping with the Planet Hollywood lifestyle, including the Your Soundtrack™, which is a music program where guests can choose a musical theme to create the soundtrack of their own Costa Rica vacation. Among the other brand offerings there are included the Main Event Guarantee™, allowing guests to catch all major events in real time and the Plugged In™, which provides guests with unlimited high-speed Wi-Fi resort wide, and Star Class™, delivering the full star experience with exclusive amenities and an extraordinary service. The hotel is also home to the exclusive PH Shop™, which provides guests the opportunity to purchase branded merchandise, high-class souvenirs and travel essentials to enjoy during their trip. This Costa Rica resort features a design that takes advantage of its natural setting and incorporates locally sourced materials balanced by entertainment themed facilities and the authentic Hollywood memorabilia, paying tribute to the surroundings, as well as some of Hollywood’s best designs and brightest materials. All of these, taking into consideration the spirit of providing guests with a locally influenced experience, while still celebrating the brand’s world-wide iconic history. If you want to feel like a Hollywood star during your next Costa Rica vacations just contact us and we will be more than glad to arrange you what you need for Vacation Like a Star.